Bruno Genesio has been doing some really good job at Lyon in recent years, but his time is approaching end. He was appointed back in December 2015 and has done very well to make the most out of a team that often sells its best players, to progress from group stages of the Champions League, but now new things are necessary. A new head-coach, to be precise. And Patrick Vieira has emerged as one of the reported frontrunners to become the next coach of Lyon. 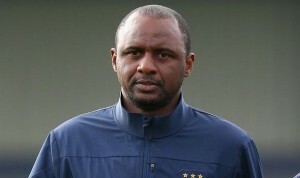 Le Parisien writes that after Genesio announced his departure from the club at the end of the season there were several names thrown around, but now Vieira sticks as potential number one. There were reports of LOSC Lille coach Christophe Galtier being among potential solutions, while Marcelo Gallardo of River Plate has also done great job, though in South America. Vieira came to Nice after working at New York City FC in MLS and now could be making another step forward.